However, by far the most popular choice is affluence, many a decadent theme has been taken by casinos, and as its name suggests, Park Lane Casino does the same thing. Using a familiar theme isn’t always a bad thing, consistency is comforting to many, but by putting itself in direct competition with so many other sites, has Park lane given itself too much of an uphill struggle? The theme here is apparent from the very first moment you arrive at the site, everything is black and gold, from logos to the dresses of the elegant ladies, and not content with just gold, most of this gold shimmers and shines. However, as garish as this sounds, Park Lane Casino actually manages to maintain a certain degree of subtlety within its design, which is far from easy to do. With simple navigation and all sections and information easy to find, this design is very well executed, which is a very good start. 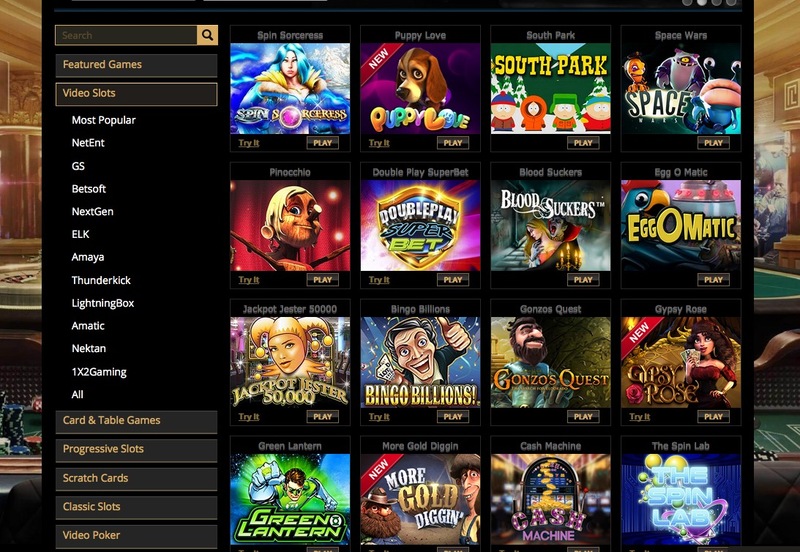 Park Lane Casino offers games from a range of software providers, 1X2gaming, Amaya, Betsoft, ELK Studios, GameScale, and NextGen Gaming to name a few, which promises a lot of choice for players. Slots fans have a lot to love here, with Gonzo’s Quest, South Park, James Dean, and many more amongst the slots on offer. If you prefer table and card games, you’re not left out either, with more forms of video poker, blackjack, and roulette than you could ever need. The idea may not be original, but the execution may just be the best around, which makes Park Lane Casino a great choice.